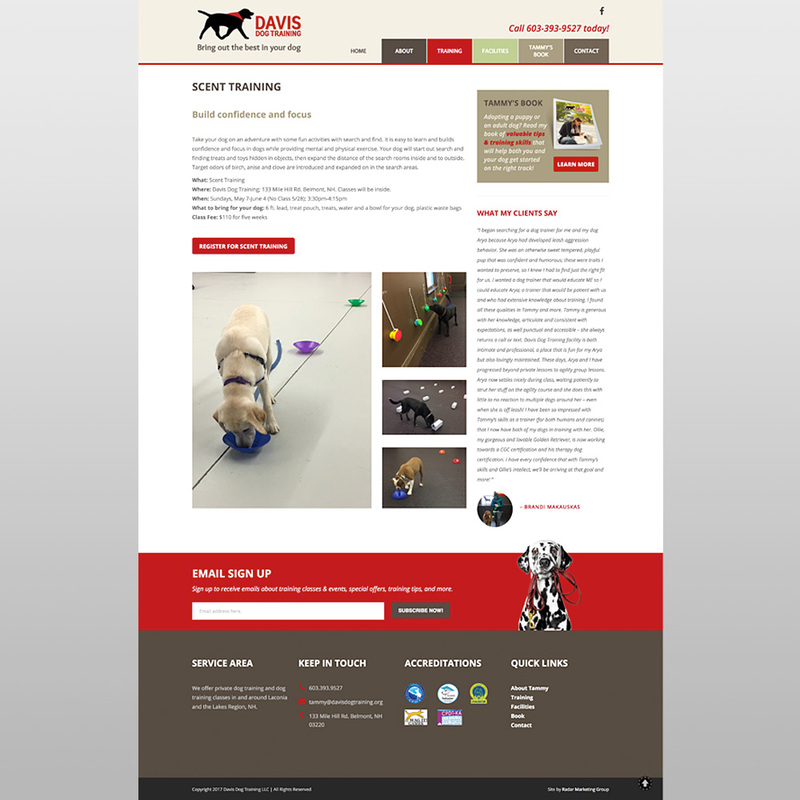 Davis Dog Training, a leading dog trainer in New Hampshire’s Lakes Region, contacted Radar Marketing Group because they wanted to take their website to the next level. 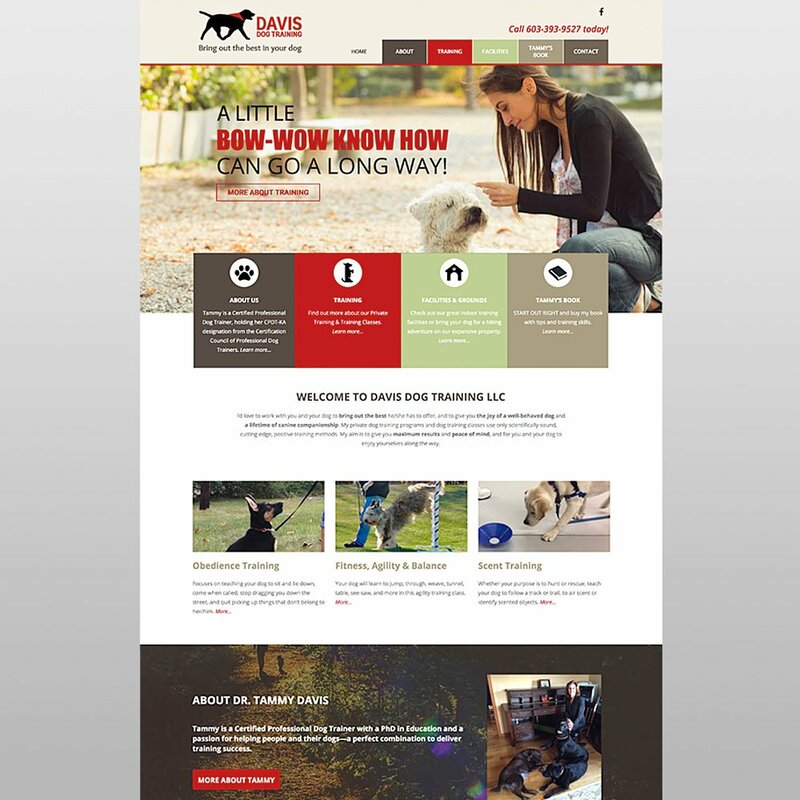 With our Small Business Website Package, we built a new site with improved overall design and user experience of the site, as well as added video, customer testimonials, and we made the site responsive, so their customers can have a great web experience no matter what device they’re browsing with. Some extras with this site include PayPal integration for online class registration and payment, eBook purchase and payment setup, and video production.